Oratop is a utility very similar in nature to the ‘top’ unix OS utility. 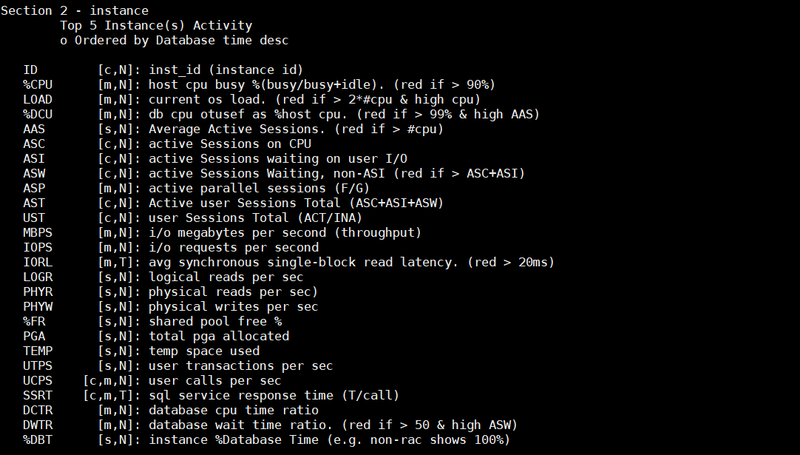 It provides an almost real-time overview of both RAC as well as single-instance database performance and can be used in combination with top to get a more complete overview of system performance and identify and monitor any activity causing bottlenecks. 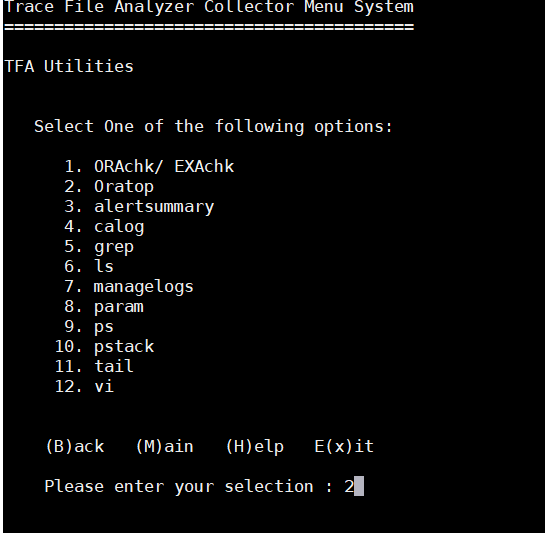 Oratop is available as part of the Trace File Analyzer (TFA) Collector package and also can be downloaded via the MOS note 1500864.1. What information does oratop show us? – a lot! 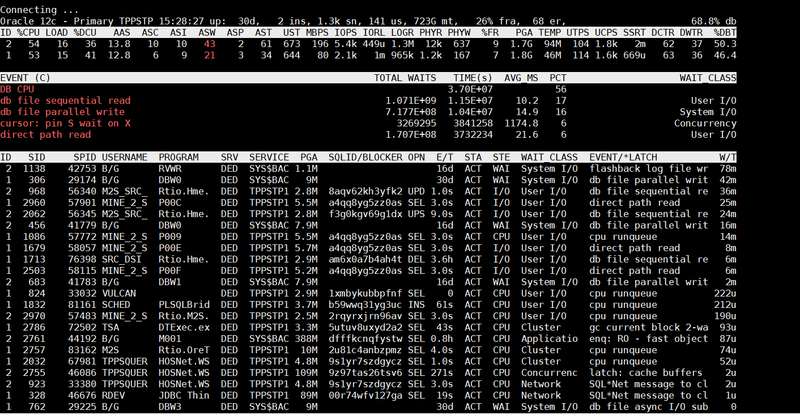 We can also launch oratop from the command line via tfactl. There are a number of switches available in the oratop utility to enable us to toggle the information which is displayed. 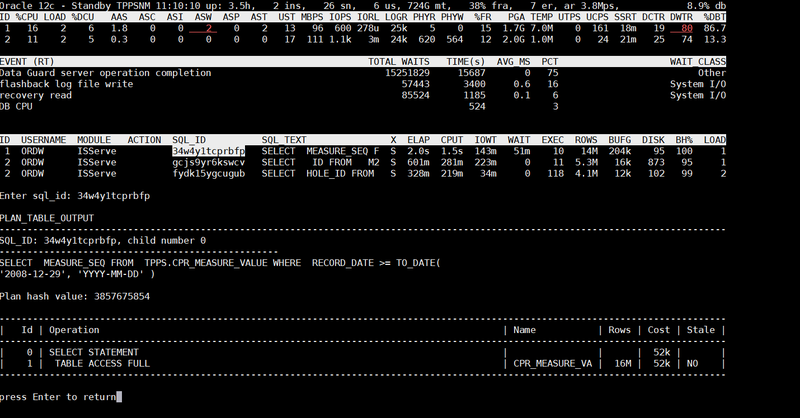 By default, oratop will display the Top 5 Wait Events since instance start. To view the information real-time we can use ‘d‘. The Events are now shown real-time (RT) instead of the default (C). Use ‘k‘ to toggle between Events/Latches and File Number and Data Block. Use ‘m‘ to toggle between display of Programs and display of Modules. 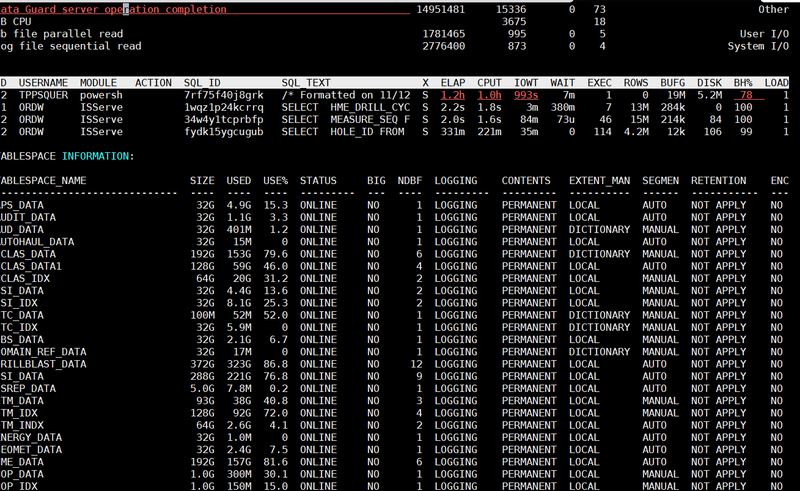 Use ‘s‘ to toggle between Process Mode (default) and SQL Mode. Use ‘t‘ to view Tablespace information. Use ‘a‘ for ASM Disk Group information. 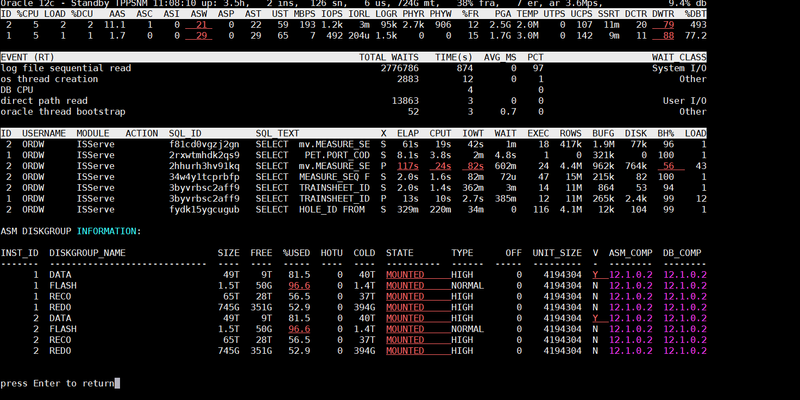 Use ‘x‘ to display the SQL Execution Plan for a specific SQL ID. Use ‘i‘ to change the refresh or data gathering interval. Use ‘h‘ to display the Help menu. We can view the Help menu for each section individually.